The roadrunner is the state bird of New Mexico. 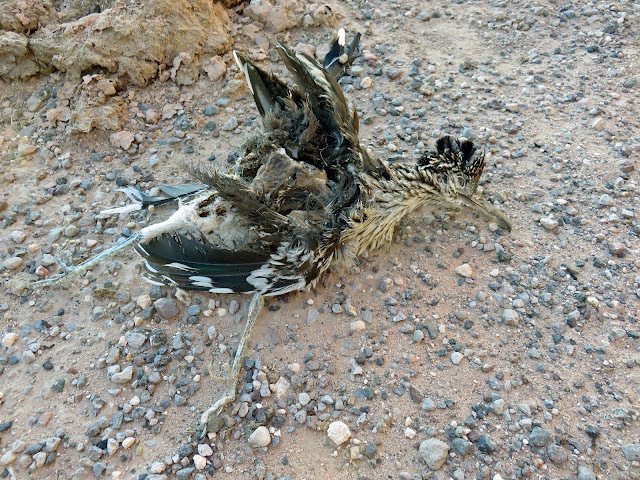 This little guy, found when I was outside of the truck walking around doing a load check, met his demise in the desert. I guess he wasn't fast enough to get away from whatever did him in. Love all the posts of NM. Poor little guy. You know that all the years i grew up in NM, I never saw a live one until I moved to TX. My NA Friend: I know. Poor guy. We see these all the time in Arizona. They run through our yard all the time. Beep beep! !